I thought I’d take a moment this Friday evening to signal-boost a very important tweet from film producer Keith Calder on the subject of dudes so wrapped up in their own supposed machoness that they can’t “poop properly” or, even worse, clean up afterwards. 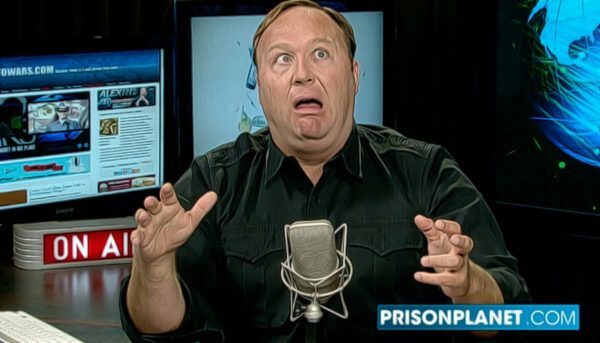 Alex Jones: The toxic masculinity show? So this little Alex Jones “greatest hits” video I’ve pasted in below — more like a greatest fits video, amirite? — got me thinking. Take a minute (and 34 seconds) to watch it and join me below.